Nigerians making Nigeria proud every where they go. 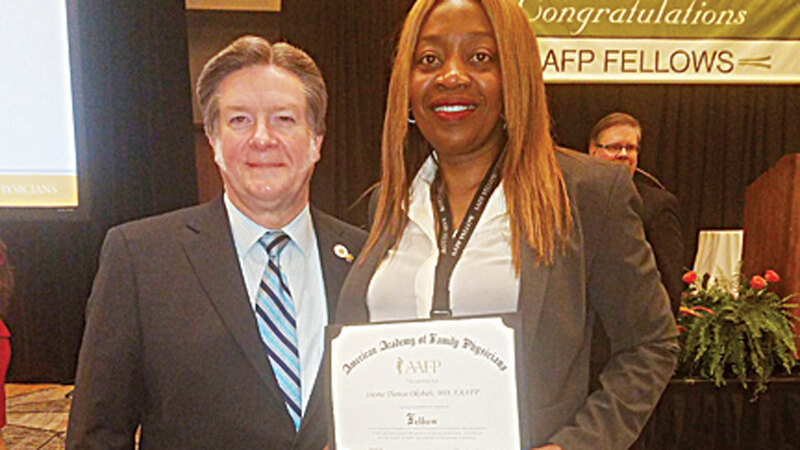 A Delta State-born, U.S-based renowned physician, Dr. Mrs. Isioma Okobah, has won the 2017 prestigious fellow of the American Academy of Family Physician award. The award is the highest honour ever bestowed on a practicing physician in the U.S who have distinguished themselves among colleagues and in their community by their contribution towards the development of family medicine. The degree is also conferred on physicians who excel in the advancement of health care to the American people and by their professional development through medical education and research. The award was conferred on the recipient penultimate Saturday at the 2017 convocation of the Academy which held at Grand Hyatt, River Walk, San Antonio Texas, USA. Dr. Mrs. Isioma Okobah is an Associate Professor of the school of medicine, Emory University School of Medicine and Moore House School of medicine, Atlanta Georgia in the USA.